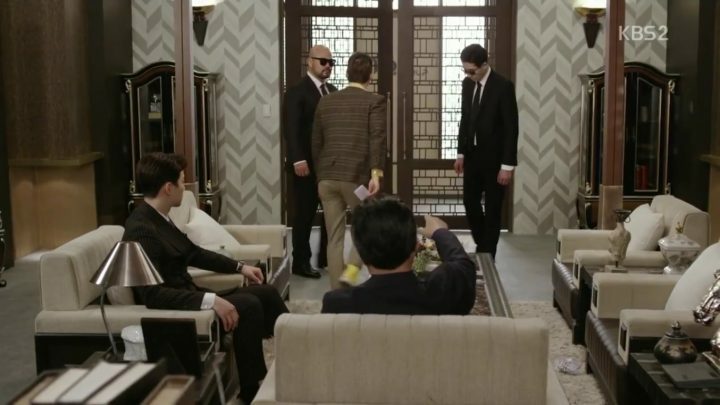 Comically depicting the employees’ tedious workspace plight and heavy emphasis on fighting conglomerate corruption, Chief Kim is an offbeat office comedy series that has flipped a mundane corporate topic into a blisteringly funny and riveting one. Let’s all be honest – featuring issues on cutthroat business malpractices can be bland and stuffy. But even if office dramas may not be everyone’s cup of tea, inserting an exact amount of comedic value really does magic. Chief Kim is able to portray the realities of work life and explore the darker side of business culture, with a great mix of laughs and social commentary to boot. It portray the realities of work life with a great mix of laughs and social commentary to boot. True to its title, the story pivots around Chief Kim Sung Ryong (Namgoong Min) and his feats. Sung Ryong is someone who has a good head with numbers and used to be a mathematical wiz as a child. Nonetheless, due to frustrations toward his father, he grows up to be a famous crooked accountant in Gunsan who works with gangsters and bilks dirty money from corrupt enterprises. On numerous occasions, he has been arrested and investigated for accounting fraud and tax evasion. Surprisingly though, he manages to be discharged every single time due to a lack of solid evidence. Until one day, his assistant Oh Gwang Seok bumps into an online job posting by TQ Group, a large and prestigious corporation in Seoul.Sung Ryong then grabs on the opportunity to apply, eventually winning over the vacant Business Operations Chief post in the process. Originally, his ultimate goal is to embezzle a great deal of money from TQ Group using his abilities within a short span of time. With that much wealth, he plans to leave Korea and fly off to Denmark, his dream country, to start a new life. However, as his involvement with the company’s internal shenanigans deepens, his principles gradually change. He then turns his back from his fraudulent practices and finds himself fighting for justice and common good. Chief Kim truly raises the bar of Korean office comedies through its hilarious portrayal of the serious facets of corporate life. The drama offers the viewers a rollicking string of informative and moralistic takes on finances, and spot-on frustrations dominating the office atmosphere. On a personal note, watching this drama is one heck of a ride — crazy, occasionally terrible, yet sidesplittingly funny. Chief Kim truly raises the bar of Korean office comedies. 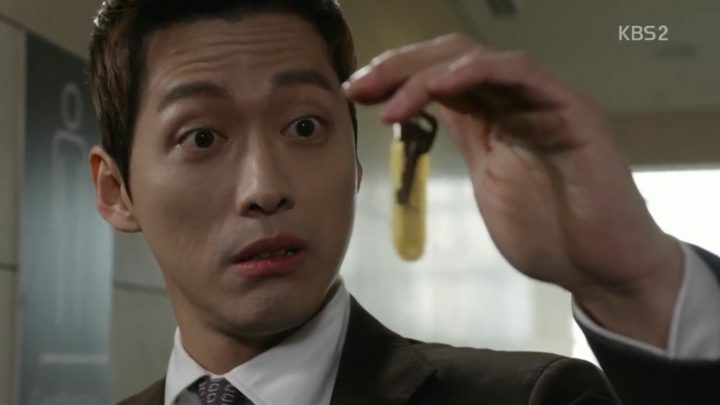 As expected of Nam Goong Min, he really has a knack for pulling off this kind of farcical role. In fact, Chief Kim makes me feel a strong sense of déjà vu with his previous character in Beautiful Gong Shim, Ahn Dan Tae, as both of them possess a nimble wit behind a wiseacre facade. This is all thanks to his ludicrous antics, as unfolding the maddening issues with corporate conspiracies becomes lightweight and entertaining. Back to the drama, I unarguably admit that Chief Kim’s insincere beginnings really earned a disappointed smirk from me. His colleagues from the Business Operations department find him untrustworthy, and at some point I’m on the same boat as them. But although at the onset his “good deeds” are purely unintentional, it became delightfully satisfying to see him ultimately doing something meaningful that’s not for his personal benefit — a complete opposite from his previous hideous background. He proves himself to be a capable leader and uses his unique methods to help the oppressed people he encounters along the way. With that, he gains loyalty from everyone, but at the same time, accrues hatred from his enemies. Sassy Assistant Manager Yoon Ha Kyung (Nam Sang Mi) is also the perfect partner-in-crime for Chief Kim. 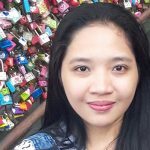 Despite the spiteful aura she exudes on the surface, she is fearless enough to stand up for what’s right and fair. Both of them are clever and results-oriented, and seeing them combine their talents to dope out solutions to workplace issues is pleasantly assuring. The thing is, I never expected some sort of romantic affinity to form between the two of them. As a matter of fact, I actually didn’t feel any love sparks flying at all whenever they’re together. Let’s just say that Ha Kyung is more of a balancing factor to Chief Kim’s jocular behavior than being his prospective love interest. For me, it’s a whole lot better to just keep their relationship at that. Moreover, the genuine bond between the people comprising the Business Operations department holds some of the most frolicsome and heartfelt scenes in the series. I really empathize with them for being treated as TQ Group’s pushovers in the earlier parts of the drama, constantly cleaning up the mess the others have made. Their intense rivalry with the Accounting department is borderline oppressive, especially since it’s obvious that the Accounting department has the upper hand. So, Chief Kim’s arrival is like a breath of fresh air for them. Chief Kim indirectly teaches them how to speak for themselves and influences them to join together in ousting the corruption growing within the company. I also wanted to comment on how I find it difficult to stereotype the side characters in this drama. Each character’s personality differs as episodes go by, definitely leaving the viewers anticipating and utterly surprised. Perhaps the only thing that feels lacking in the drama is underscoring Kim Sung Ryong’s accounting skills. It’s obviously flaunted from the start, but I barely see him actually doing the real thing. Moreover, I observed that he and Ha Kyung are more inclined to playing detective rather than sticking to the scope of their work. I know they meant no harm, but wouldn’t it sometimes be considered as stepping over the line? 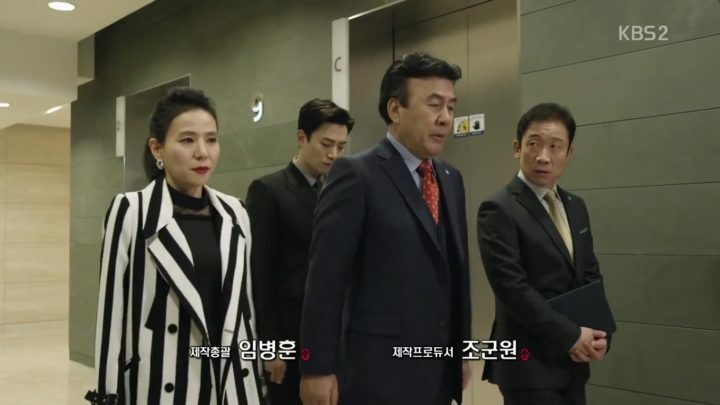 All in all, Chief Kim’s plot is mint and this drama has done a fantastic job not to fall for the same tropes other dramas use to drag out the storyline. It’s also filled with a bunch of jaw-droppers displayed in a humorous manner. If you are in search of a drama which you can relate to in terms of the poignancy of office life, then Chief Kim is indeed a must watch! Not only does it absolutely nail many of the frustrations of day-to-day work, but you will also find yourself grooving on various game-changing moments that could possibly happen within an office setting! Thank you! I srsly enjoyed the drama as a whole. 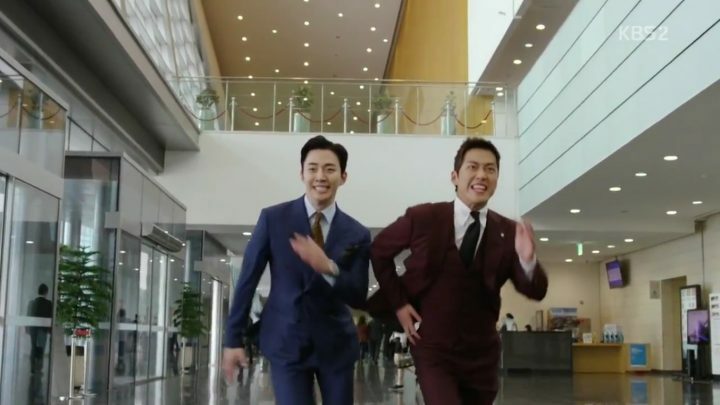 Nam Goong Min’s funny antics never fail to make me laugh bigtime.